Dr. Ryoji Noyori, University Professor at Nagoya University and President of the RIKEN (Institute of Physical and Chemical Research), was awarded the 2001 Nobel Prize in Chemistry. 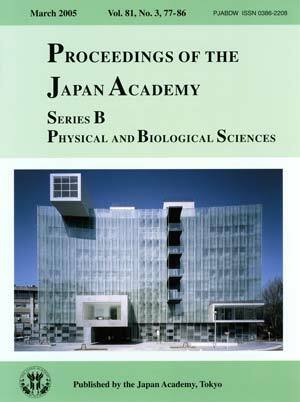 The Noyori Materials Science Laboratory (NMSL) and the Noyori Conference Hall (NCH) were built at the Nagoya University Higashiyama Campus in honor of this achievement. The buildings were completed at the end of 2003. NMSL is a seven-story building with a basement level. 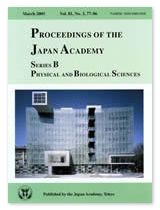 Research and laboratory areas occupy the third to the sixth floors and Professor Noyori's office and other reception rooms are on the seventh floor. The laboratory areas were designed as model facilities for chemistry research laboratories. The fifth floor is specially equipped to promote industry-university international cooperative research on molecular catalysis. The research hall on the second floor is open to the public in order to further a broad public appreciation of the importance of chemistry and to nurture the next generation of researchers. The chemistry gallery commemorates Professor Noyori's Nobel Prize and includes exhibits designed to introduce Dr. Noyori's achievements to young researchers. Roy Lichtenstein's lithograph, Peace through Chemistry, which Professor Noyori donated to the university, is also on view. The gallery stairwell overlooks the first floor – the research hall and its array of equipment. The chemistry lounge also functions as a lecture room that can seat 120 people. Five boxes protruding from the double-skinned exterior wall suggest elements inevitably forced outward when two programs of conflicting nature are combined: a flexible program for an exhibition hall and public spaces with a program of rigidly controlled conditions for the laboratories.